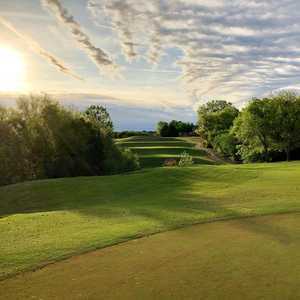 Heritage Ranch serves up an especially challenging par 72, 7,040-yard Arthur Hills design that rolls through the oaks and pecans just outside of Fairview. 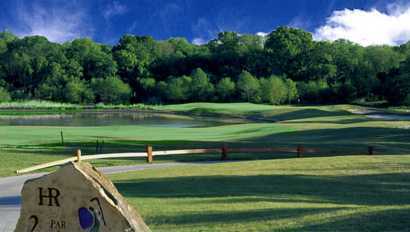 And while it’s part of a gated, active-adult residential community, the course is open to the public and especially fun because it integrates well with the neighborhood. Houses line some fairways, but a fair number of holes provide that natural, rural feel that is always so welcome on a golf course. While the course is not particularly demanding off the tees, the real challenge at Heritage Ranch comes from the mound-shaped greens. If your irons aren’t dialed in, you’ll be working hard for ups and downs. No. 1 is a unique opener because it bends left down to a fairway and green that aren’t visible from the tee. Big drives can get close, but the recommended play is to take a long iron and draw it over the hill. The par 5s on the front are nice holes. No. 3 doglegs right and requires a good tee shot, followed by a relatively easy second shot into a widening fairway toward the hole. 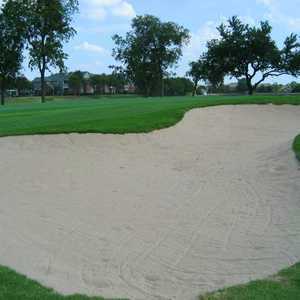 The trick is nailing the short iron (almost a blind shot) into the elevated green guarded by bunkers on the front. No. 7 is longer and offers a good chance for birdie, again because of its wide-open nature. No. 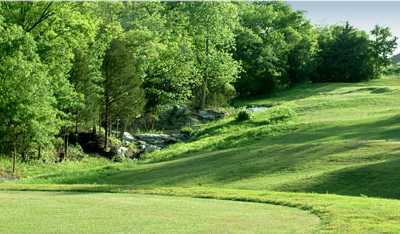 16 is the signature hole: a par 3 masterpiece that plays along a natural spring waterfall. 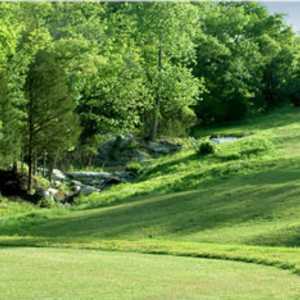 You’ll need to nail a long iron over the valley and avoid the trees that overhang the fairway from the right. No. 18 is a good finisher–it’s a long par 4 that doglegs left around a few large fairway bunkers, then works its way uphill to an elevated, mound-shaped green surrounded by bunkers. Ups and downs are possible here if you miss the green back left, which is easy to do when you approach with a fairway wood. Getting there : Only 20 miles northeast of Dallas, take I-75 north to the Stacy Road exit, then turn right and drive to the dead end. The road jogs to the left, then right, and continues as Stacy Road. The entrance is 2 miles down on the left.